Power requirement is often the single largest individual cost factor for a colocation customer when purchasing a rack from a data centre provider. It can also be a minefield to navigate and understand exactly what you will actually need – it’s not always easy to estimate the requirements of a new rack deployment, and many factors (such as the quality of your data centre’s cooling system) can affect your overall power consumption. Here, we look at three steps you can take to ensure you don’t overpay (or pay too little) for power. Many first-time colocation buyers assume that estimating your power requirements is as simple as taking the manufacturer-provided wattage requirements of each of your servers and then adding the numbers up. In reality, this is an easy way to overpay, as those numbers are upper thresholds and usually only ever reached at 100% utilisation (and you wouldn’t expect each of your servers to reach 100% utilisation on a day-to-day basis). Other buyers turn to online calculators, some of which are quite sophisticated. But they aren’t infallible either – you still need to factor in your business’ unique consumption patterns and the surrounding data centre environment, which can have a significant impact on power draw. The less powerful or effective the data centre’s cooling system, for example, the more work your servers’ fans may have to do themselves to attempt to maintain lower temperatures and airflow internally. Ultimately, it’s difficult to know exactly how much power you require until your servers are up and running in situ. If you’re really unsure, you may be able to arrange with your provider to start with a small amount of power, monitor your consumption over a given timeframe, and then scale up if necessary – although the ability to work in this way will of course depend on your provider’s willingness to offer you that flexibility from day one to help you out in the long run. A colocation data centre will always use a large amount of power for supporting infrastructure, so be aware that higher-than-necessary running costs for your provider, through an aversion to invest the capital into more efficient technologies, may eventually translate into higher overall bills for your rack space. Many buyers look to Power Usage Effectiveness (PUE) for an indication of these running costs. This is calculated by dividing the total power consumption of the data centre by the amount used specifically by IT equipment within the facility, and a lower PUE is regarded as preferable. However, be aware this isn’t the be-all and end-all, and is often used more as a marketing tool rather than a sophisticated measure of data centre efficiency. In some cases, a higher spend on cooling and other non-IT infrastructure operation is a worthwhile trade-off if the data centre is more resilient (through operating more standby components) or provides greater capacity as a result. 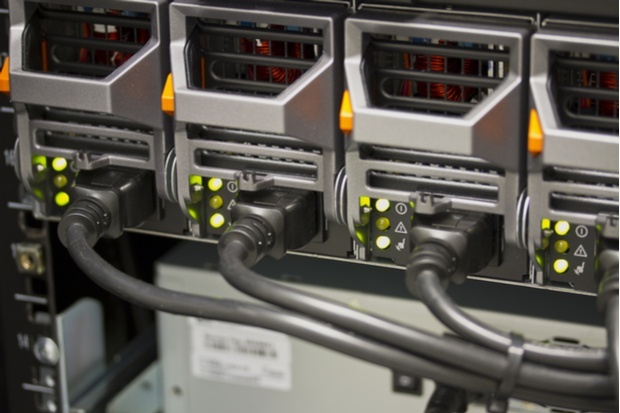 You can learn more about this in our blog: How important is data centre PUE? For a better idea of a colocation data centre’s efficiency, we’d recommend visiting the site in person so you can review the quality of power-saving measures like cold aisle containment in the context of their overall resilience. That way, you can reach a more informed conclusion on any bad practices or unnecessary costs in the facility. Don’t end up footing the bill for provider shortcuts or inefficiencies – always look for best practice in all areas, such as purpose-built cold aisle containment to maximise cooling efficiency. There are two main payment models for colocation power – metered and inclusive. Metered may sound like the better model if you want to keep your costs down, because you don’t pay for power you don’t use, but in reality it’s entirely possible that you’ll pay more for the benefit of that flexibility in the long run. Again, you should discuss with your provider how they price either model and see if there’s any room for flexibility. In the past, for example, we’ve brought customers into our Manchester colocation facility on a metered model for the first few months of their contract to allow them to conduct a phased migration from their previous data centre while keeping costs down during the ‘unknown’ period. Once they’ve settled in and their requirements have become more consistent and certain, we’ve been able to move them over to an inclusive model for a more cost-effective and guaranteed arrangement in the long term. Checking power consumption is just one factor of many that you’ll want to consider when choosing a new colocation partner. In our guide, we take you through the process to help you pin down the best provider for your business.